Child custody is one of the most important and most heavily contested issues in any divorce, and for good reason. As a parent, you want to have the time and opportunities with your child needed to maintain that relationship going forward after a divorce. Failing to handle the child support component of your divorce could result in losing out on these important opportunities. Before your divorce, talk with an experienced lawyer who can help you protect your relationship with your children. At Marrero, Chamizo, Marcer Law LP, we serve clients in all aspects of divorce, including child custody and child support matters. We are a bilingual firm serving clients in the Miami-Dade area, throughout Broward County and the Florida Keys. Our attorneys have the knowledge and experience to help you. Schedules: We will help make sure you have appropriate time with your children. Some of the key issues in this regard include weekdays, weekends, holidays and other important family events. Transfers: It is important to consider the times and places for exchanging the children between co-parents. In some cases, especially those involving domestic violence or contentious divorce disputes, great care needs to be taken when establishing the parenting plan. We will help make sure you are comfortable with the times, places and the circumstances surrounding the exchange of your children in your parenting plan. Child care: When both parents work, agreements will have to be made regarding the details and requirements for child care. Extended family: There are almost always issues that arise when extended family will be involved with providing care for the children. Third-party visitation: Grandparents, aunts, uncles or other interested family members or other parties asserting some visitation time with the children can cause complications. Our attorneys will help protect you and protect your children. Media: Some parents are greatly concerned with the movies, music, internet access and other media considerations when it comes to their children. These issues can be discussed when creating a parenting plan to make sure you retain some control over how your children are raised. 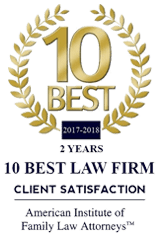 Our Child Custody Attorney recently won a three-day relocation trial preventing the minor autistic child from being permanently moved to Lee County, Florida, away from his Mother in Miami-Dade County. The Father argued that the Mother was not taking care of the child by not providing the proper medical therapies needed for their autistic child. The Mother argued that the Father kept changing the child’s medical and therapy providers without her consent or knowledge. The Father filed false DCF claims against the Mother in an effort to show that she was an unfit mother in addition to claiming that her live-in boyfriend was previously convicted for kidnapping. Mother, on the other hand, argued that Father violated an existing court order for the time-sharing and wanted her child returned to Miami-Dade County. There were multiple witnesses and testimony on both sides. Only a 15-year litigator like Attorney Steven Vargas with a firm command of the evidentiary rules was able to keep the Court focused on the pertinent facts and evidence in this case for the Court to come to a definitive decision in ruling that the Father had violated a current time sharing court order. The Court further ruled that it was in the best interest of the child that the minor child be returned to the Mother in Miami-Dade County as the primary residential parent. The Court also awarded child support to the Mother. If you have a custody case or other family law matter, call the Law Firm of Marrero, Chamizo, Marcer Law LP at 305-446-9466 to schedule a consultation. It is important to not have to worry about the future for your children. By working with an experienced lawyer you trust, you can ensure that your children are safe and raised in a comfortable and nurturing environment. At Marrero, Chamizo, Marcer Law LP, we represent both men and women in child custody matters. All things being equal, each parent should have an equal right to custody and visitation. Contact us today to discuss your case with one of our experienced child custody lawyers at Marrero, Chamizo, Marcer Law LP. Call 305-446-9466 or contact us online to schedule your consultation.